is Professor Emeritus of the University of California, Davis. He held Visiting Professor positions at the Eric Jonsson School of Engineering and Computer Science at the University of Texas in Dallas and at the Sydney University in Australia, Ecole Politechnique Federale du Lausanne, Chung-Ang University in Korea. He obtained Ph.D. and MSc degrees in Computer Science from the University of California, Los Angeles in 1982 and 1978 respectively and Dipl. Ing. (MScEE) degree in electronics and telecommunications from the Electrical Engineering Department, University of Belgrade, Yugoslavia in 1971. From 1982-1991 Prof. Oklobdzija was research staff member of the IBM T.J.Watson Research Center in New York where he worked on development of early RISC and super-scalar RISC processors on which he holds several patents. From 1988-90 he was teaching at the University of California Berkeley as a visiting faculty from IBM. Prof. Oklobdzija's past and present engagements includes positions at the Microelectronics Center of XEROX Corporation, consulting positions at Sun Microsystems Laboratories, AT&T Bell Laboratories, Hitachi Research, SONY, Fujitsu, Intel Corp., Samsung and Siemens Corp, where he was a principal architect for the Infineon TriCore processor. 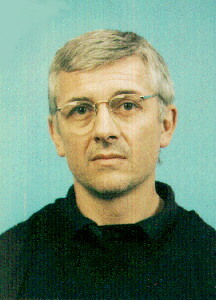 Prof. Oklobdzija's interest is in VLSI systems, fast circuits, low-power design and efficient implementations of computer arithmetic. His work has been applied in several leading processors. Prof. Oklobdzija holds 15 USA and 7 International patents and 5 others pending. He has published over 170 papers in the areas of circuits and technology, computer arithmetic and computer architecture, written three books (two edited, of which Computer Engineering won an Outstanding Title Award) and dozen book chapters and one edited book in high-performance system design. Prof. Oklobdzija has given over 200 invited talks in the USA, Europe, Latin America, Australia, China, Korea and Japan. He also spent time in Peru and Bolivia as a Fulbright professor, lecturing and helping the universities in South America. Prof. Oklobdzija is a Fellow of IEEE and a member of: American Association for Advancement of Science and the American Association of the University Professors. He serves on the editorial boards of: the IEEE Transactions on Computers, Journal of VLSI Signal Processing, IEEE MICRO and has served as Associate Edtitor of IEEE Transaction VLSI Systems and was VLSI Vice-Chair for International Conference on Computer Design. He was also a General Chair of the 13th Symposium on Computer Arithmetic in 1997 and IASTED Conference on Circuits, Signals and Systems, 2005. He has been a program committee member of the International Solid-State Circuits Conference (ISSCC) since 1996-2001, ISLPED since 2001, ISCAS, PATMOS, ARITH CompCon, ICCD and Super Computing Conference. He serves as referee for all major IEEE and IEE journals, book publishing companies and has served as reviewer for National Science Foundation NSF, Australian Research Counsel ARC, Swedish Foundation for Strategic Research and California MICRO program. Prof. Oklobdzija served as a litigation consultant and expert witness for many legal firms including: Townsend and Townsend, Arent Fox, Kellogg Huber and BLB&G. He was awarded Fulbright Scholarship in 1976 and Fulbright Professorship in 1990. He was elected IEEE Fellow in 1995 and Distinguished Lecturer of IEEE Circuits and Systems Society and Solid-State Circuits Societies. Copyright Advanced Computer Systems Engineering Lab, 2007. Website design by Christophe Giacomotto.